Thousands of lights will adorn a Christmas display in east Salina. 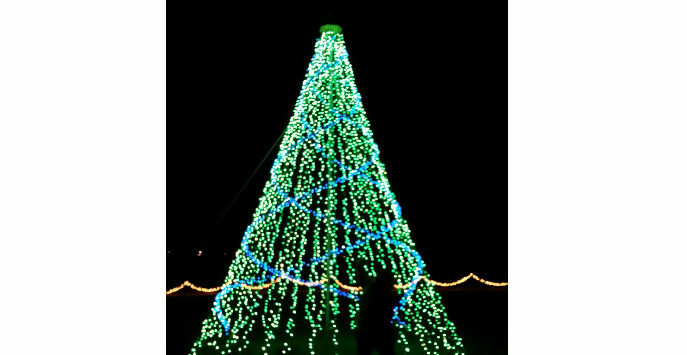 Prairie Lane Park at First Christian Church in Salina will be lit up with over 50,000 lights all next week, from 6:00 – 8:00 pm, December 16th-22nd. The display includes lights around the nearly quarter mile Reflection Path, three 24 ft. Christmas trees, a number of 10 ft. trees and over a dozen smaller ones. In addition to enjoying the lights, the church will also be providing hot chocolate and cookies in the church’s reception room from 6-8 pm each night.